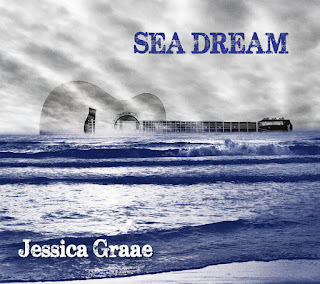 Delaware Arts Info: Album Review: Jessica Graae, "Sea Dream"
During her time on the Delaware Arts scene, Philadelphia singer-songwriter Jessica Graae performed, taught, and released her first album, 2013’s Gypsy Blood. Her newly-released second album, Sea Dream, opens as you might expect: with a dreamy, atmospheric song of the sea, Sea’s Siren (featuring Kiley Ryan and Chico Huff). Graae’s lilting, wide-ranging voice is at once folksy and classical, accompanied by acoustic guitar, strings, percussion (sometimes) and the occasional keyboard. It may sound minimalist, but there is plenty going on musically; the third track, It’s You Again (featuring Chico Huff, Jim Salamone, and Randy Bowland) works Graae’s acoustic style into a catchy indie pop tune, the kind that would be at home on college radio. Another up-tempo track, Hyphenate (featuring Philip D’agostino and Jim Salamone) has a country vibe, with its singalong-style “scoop you up like sweet ice cream” chorus. There is a thread of calmly infectious catchiness throughout even the slower-tempo songs — songs like Bring the Rain (featuring Jim Salamone, Chico Huff, Bob Huff and Randy Bowland) will stay in your head long after the song ends. Back to front, the album flows, moving between acoustic styles without losing its distinct ambiance. At first, Sea Dream feels like an album filled with sadness, but as you stay with it, it feels like resilience. 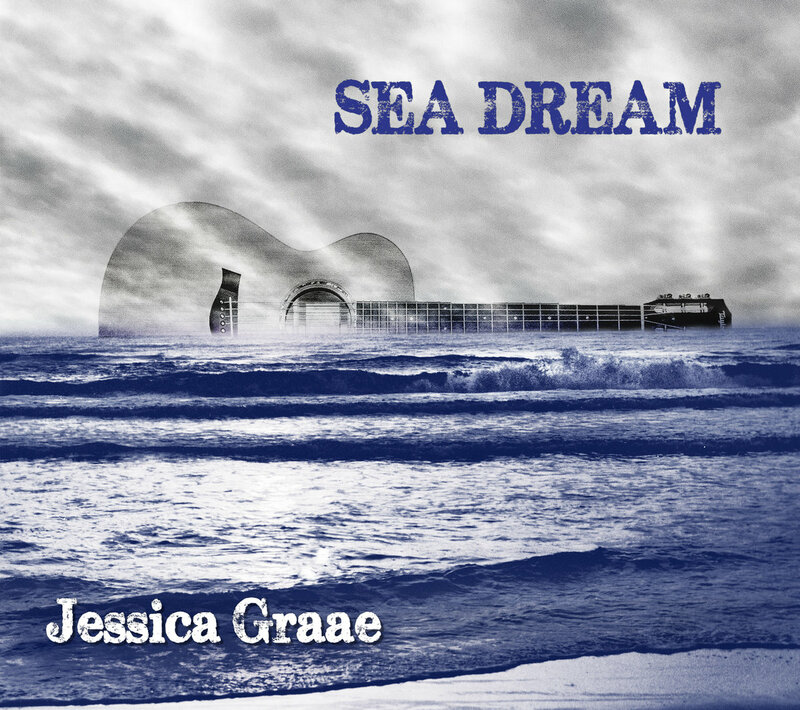 Sea Dream is available for purchase on bandcamp and Amazon, and can be streamed on Spotify. Jessica has two more shows in December after the Album Release: Opening for Norman Taylor and his Blue Soul Band at the Bus Stop Music Cafe, Pitman, NJ, on December 19, and at Andrea Clearfield's Salon in Philadelphia on December 20.